Lynette Elwyn joined the University as a Visiting Assistant Professor of Education in 2016, after serving as an Adjunct Professor in 2015. She enjoys working with teaching candidates in the Master of Arts in Teaching program as they prepare for educational and leadership opportunities in today’s diverse learning environments. Prior to working at George Fox, Lynette enjoyed many years as a middle and elementary teacher in Oregon, California, and Minnesota. Additionally, she has had the opportunity to mentor and support student teachers in her classroom. Her experiences include staff development and teacher leader training in Minnesota and Oregon. 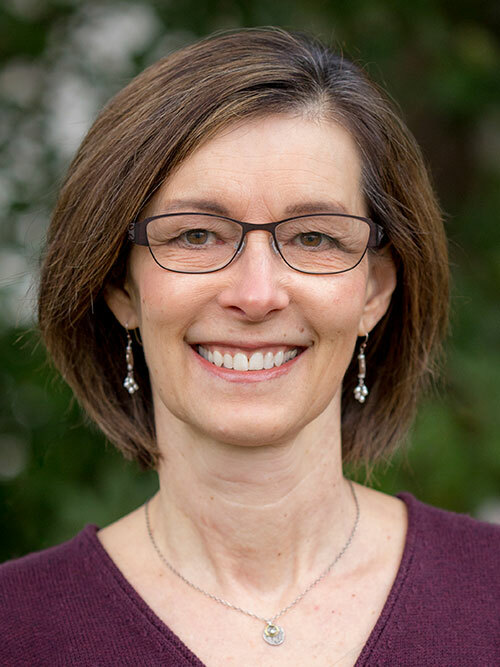 In addition to her work at George Fox University, Lynette has initiated and directed a Teacher Induction program at Twality Middle School in Tigard, where she mentored first to third year teachers. She and her husband Reed reside in Tualatin. Their daughter Alaina, a George Fox University student, lives in Newberg. Their two other grown children, Brittany and Collin, live and work in Portland and Bellingham, Washington.